Are PMC mortgage loans open and repayable without an interest penalty? Absolutely. If with an equity-based lender as most PMC lenders are. This is the first question you must always ask of any mortgage lender! Many mortgage lenders charge a hidden 3 month or 6 month interest penalty if you pay out early. PMC also works with banks and trust company lenders who occasionally offer open loans as well. After I apply for my mortgage, how long will it take to get my money? Usually within 3 days. We pride ourselves on a fast, efficient funding process. Turn-around time also depends on the lender, your residence location and the type of mortgage we are doing for you. Our primary concern is always: what works best for your particular needs? Banks, trust companies and private equity-based lenders. Which lenders have the fastest turnaround? By far, the private equity-based lenders who look at the equity in your home and can turn around a mortgage loan within 3 days. Banks and trust companies offer more conventional mortgages which can take up to 2 weeks to process. How do you choose which lender is best for me? Depends on your needs. 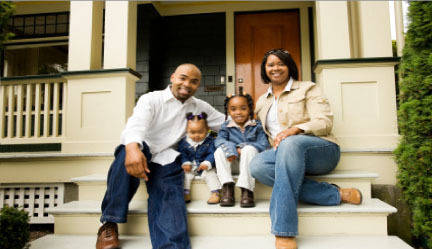 Want to redo your first mortgage or get a secured line of credit? We would first try a bank or trust company for this. However, if you do not qualify for this, but have equity in your home, we will try to find the best equity-based lender for you. Every family has its own unique situation and goals and the best thing is to call our very experienced Jonah Stern who can clearly answer all your questions at 416-223-9300, x229. What is the maximum amount of mortgage I can get approved? There is no limit. It depends primarily on the equity in your home. We deal with many different lenders and can choose from the lender willing to give you the highest amount of funding at the most favourable rates. Can I get a mortgage if I have credit problems? Or if I do not have provable income? Yes to both questions. Speak to Jonah Stern, 416-223-9300, x229, for more details. caPrudent Mortgage Corp. (PMC) is a division of Prudent Financial Services which, since 1984, has been the GTA leader with the most affordable same day loans and best credit rehabilitating services to people with bad credit. Building on this expertise, PMC is today in the forefront of competitive home equity loans and superior personal service.